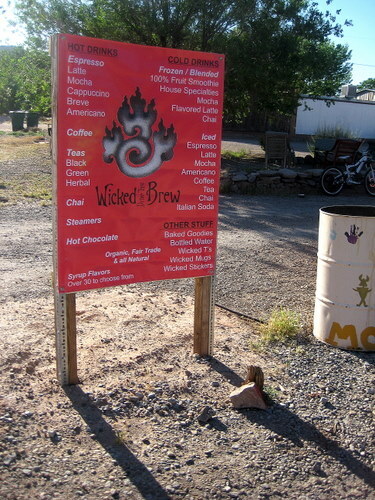 In case you don’t want to get your coffee in person, Moab has a cute little drive-up coffee spot called Wicked Brew. 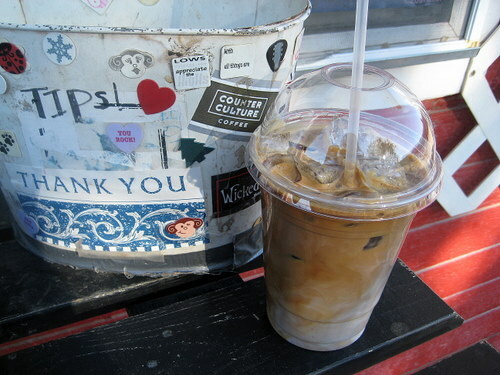 You can get your coffee fix without ever getting out of your car. They’ve got hot coffees, cold coffees, teas, and some baked goods. And it’s all organic, fair-trade, shade grown stuff. There are a couple of chairs out back too, in case you want to hang out. And places to put your bike. You are in Moab, after all. I got myself an iced latte that day, as it was extra hot out, and the dude inside the shack was more than happy to help me. It was indeed cold, tasty, and strong. It kept me going for an entire day of hiking! Besides hiking, there is rafting on the Colorado River. Your choice of the scenic splash (fun for everyone weighing at least 40 pounds) and whitewater for the daring. Moab has meeting rooms too, to come and mix business with pleasure. 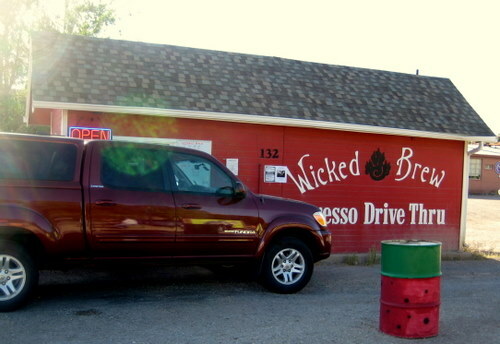 http://www.moabutah.info Wicked Brew could provide the continental breakfast.